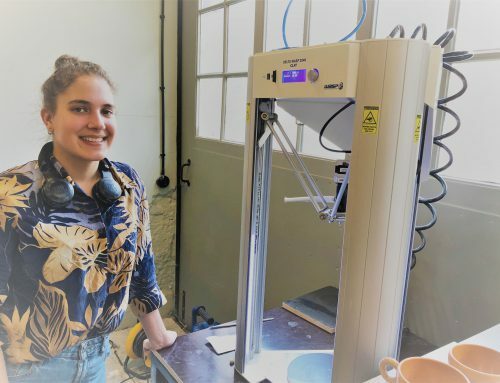 INSIGNARE is a Portuguese non profit Association that owns two vocational schools, EPO – Ourém Vocational School – with workshops for technical areas from Mechatronics to Metalworking / CNC – and EHF – Fátima Hospitality School, where Hospitality and Tourism courses are taught. This Summer its schools successfully completed three Erasmus + supported partnerships they had been developing for the past two years. EPO had two: “Put Yourselves in a Refugees’ Shoes” and “3D Students – Dialogue, Democracy, Digital”. The first one worked with partner schools from Italy (coordinator), Bulgaria, Romania and Turkey, and intended to raise students’ and teachers’ awareness for this issue, that has been affecting Europe. With interviews to refugees, visits to camps, to photo exhibits, with activities that provided an historical and cultural background, with the study and dissemination of best practices of inclusion of children refugees and their parents, the impact of changing students and teachers perception and mind was impressive, so other schools are free to use them. More details can be found and detailed information can be asked on project’s Facebook page. 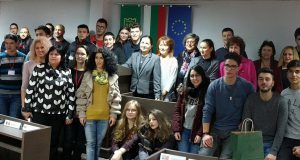 As for “3D Students – Dialogue, Democracy, Digital”, it was coordinated by our school and had schools from Italy, Poland, Spain and Turkey. Its aim was to implement a new teaching methodology, with students at the centre, piloting it around five axis of a European citizen’s life, which led to students’ research, plan, video record, edit and upload several interviews with personalities from these countries coming from Social, Civic, Public, Armed Forces, Politics, Entrepreneurship, .. areas. It wished to promote the contemporary European values, like is stated on Article 2 of the European Union Treaty. Following the Paris Declaration, it will develop the social, civic and intercultural skills. It also used OER – Open Educational Resources, developed by students, in order to educate through informal and sustainable ways. Its results and further information can be found at project’s website. We invite all schools that are interested in these topics to come to our site and use these resources, which has proven highly motivational. 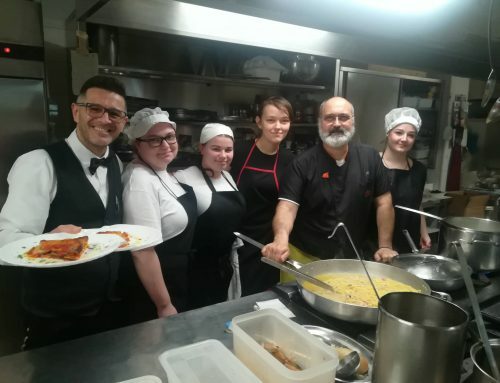 EHF has just finished “Cook Healthy, Eat Healthy, Live Healthy”, coordinated by an Italian school and with partners from Poland, Romania and Turkey. Its main objective was to inform students on rules of a safe and proper diet and suggest healthy dishes that can replace so popular but unhealthy fast-food. It also intended to promote sports as a strategy for being healthy, thus developing a lifelong active lifestyle and to improve pupils’ sports and social skills. Several articles, reports, videos and newsletters were created, which can be found, and used by everyone who is interested, at our project facebook page and at ETwinning platform.